Whether you are looking for a youth rifle or dealing with shoulder problems, it is possible to select an effective deer hunting caliber with reduced recoil. There is somewhat of a trade-off between recoil and knock down power. Luckily there are some choices we can make to reduce recoil while still using a weapon capable of producing clean kills on deer. This article outlines your options. For anyone looking for a the best deer caliber without a lot of recoil, we recommend the 6.5 Creedmoor. The caliber provides a great combination of effective killing ability without blowing up your shoulder. If you want to continue using your current rifle, your best options are to try a recoil pad as well as reduced recoil loads in your current caliber. Recoil comes down to physics. When you fire a bullet, the ignition of the gunpowder in the case causes a massive amount of pressure which in turn pushes the bullet from the case. Is recoil bad? Who might want reduced recoil? While recoil isn’t desirable, it is somewhat of a necessary evil due to the laws of physics discussed above. Recoil can be troublesome for younger shooters, lightweight shooters, hunters with injured shoulders, backs, necks, or those who are a bit older and have troublesome joints. How is recoil measured? What is low recoil? Recoil is typically measured in energy (ft-lb). While we can’t measure recoil very easily, we can calculate it using a recoil calculator like shooterscalculator.com. We compare the recoil of various calibers in detail below but we set a limit of 15 ft-lb. For reference, some popular larger hunting rounds like the .270 win, .308, or .30-06 produce a recoil in the ballpark of 16-23 ft-lb. What is important to consider when selecting a deer hunting caliber? There are a few key factors to consider when selecting a caliber for hunting deer. The most important are energy, effective range, bullet drop, availability, and how far you will be shooting. This should be one of the primary considerations. 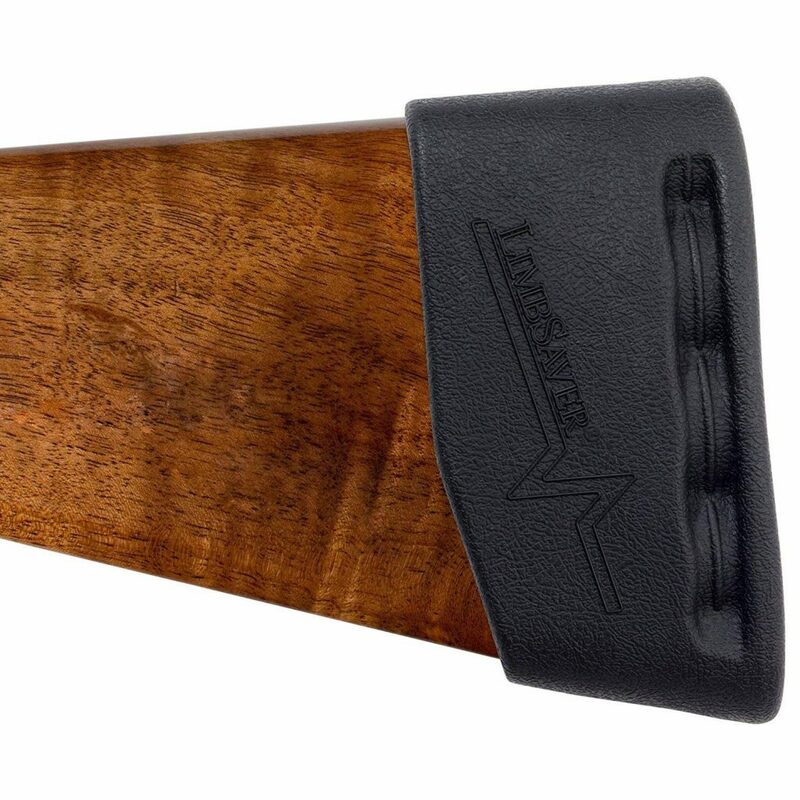 If you only intend on hunting deer at a range of 50 yards, you might want to consider a good old lever action .30-.30. The .30-.30 provides a lot of impact energy at close distances while only producing recoil around 10 ft-lb. Out beyond 100 yards the appeal of the .30-.30 drops off rapidly due to it’s drop in energy. We based our recommendation assuming a general purpose hunting rifle between 0-300 yards. A bullet’s energy depends on two things 1) the bullet’s mass and 2) the bullet’s velocity. Of the two, the bullets energy is more influence by the velocity but both are important. As a bullet travels it’s velocity is going to drop off so as a result so does the bullet’s energy. Chuck Hawks recommends a minimum of 800 ft-lb of energy at impact for a reliable kill of a medium sized animal like a deer. In addition to energy, the effective range of a bullet depends on factors like shot placement and bullet behavior after impact but for simplicity’s sake we did our comparisons using bullet energy. How much a bullet drops as it travels has to do with the bullets trajectory. As a bullet travels it will drop due to gravity. 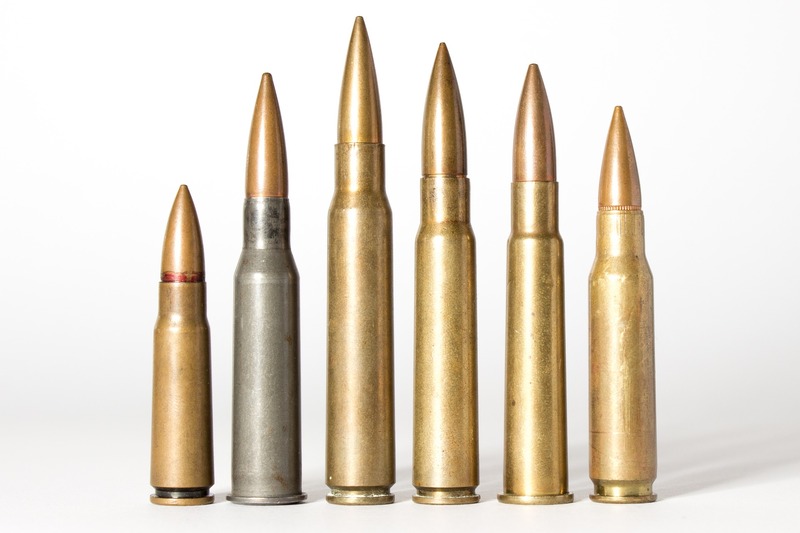 The bullet’s ballistic coefficient (BC) has to do with how well it cuts through the air. The higher the BC, the better it cuts through air. All else being equal, a bullet with a higher BC will drop less over the same distance than a bullet with a lower BC. The reason you should care about bullet drop is because the less the bullet drops over the range you intend to hunt, the less you need to compensate when placing your shot on the deer. Ideally the bullet drop is so little over your hunting range that you won’t need to adjust your shot much at all. A good example of why you should consider bullet availability is that some states are starting to require hunters to use lead-free ammo. The more popular the hunting round, the more likely bullet manufacturers are going to be to produce a wide variety of options of a particular caliber. The .25-06 offers great performance while offering a low amount of recoil. There are many hunters that swear by this rounds killing effectiveness. The biggest downside to this caliber is due to is lack of popularity compared to the others on the list. This can make it difficult to find ammo and there are not as many options for bullets. We used a 120 grain bullet for our calculations. The .243 Winchester is the most popular deer hunting caliber on our list of choices. Shot placement becomes critical past 200 yards with the .243 because it carries less energy than the other calibers. Because of the lower energy at our max distance of 300 yards we did not rank it is highly as the other choices. This is somewhat offset by the calibers popularity (and availability) as well as it’s exceptionally low recoil. If recoil is your primary concern and you don’t plan on taking a shot past 200 yards the .243 is an excellent choice. We used a 100 grain bullet for our calculations. The popularity of the 7mm-08 has soared in the past 15 years and for good reason. The bullet maintains great energy out to 300 yards allowing it to make clean kills at this distance. It’s massive increase in popularity has also lead to many ammo options and increased availability. We used a 140grain bullet for our calculations. The 6.5 has been all the rage for the past few years. It’s rise in popularity has a lot to do with it’s high ballistic coefficient and frequent use by long range shooters. Our statistics confirm the excellent performance of this round. The 6.5 has the highest energy at 300 yards without significant recoil. For this reason we think it is the best low recoil caliber for hunting deer. We used a 125 grain bullet for our calculations. To mitigate the effects of recoil you should start by confirming your shooting fundamentals are on point. Make sure to hold the rifle snug to your shoulder and that your scope is spaced at the appropriate eye relief. Also, wear solid footwear and hunt from a comfortable position. If you have back problems, wearing a back brace can help the body maintain good posture when absorbing the recoil of the gun. If you are looking for ways to reduce recoil without spending a bunch of money on a new rifle, you may want to switch to a managed-recoil cartridge. Reduce recoil ammo claims to maintain hunting effectiveness out to 200 yards while reducing recoil by roughly half. You may not like the idea of limiting yourself to 200 yards but if you are serious about reducing recoil these are worth considering. We recommend anything produced by Hornaday [link to Cabelas]. The recoil pad is like a cars suspension. Two main components make up a cars suspension, a spring and a shock. The spring will spring the impact felt by the shooter over a longer period of time. This will feel like less of a sudden jolt to the shoulder. The shock will actually absorb some of the guns recoil and turn it into a tiny amount of heat. Engineers refer to this as a damper or dashpot [Wikipedia]. There are two types of recoil pads. They both work based on the principle explained above. The first type is more popular. 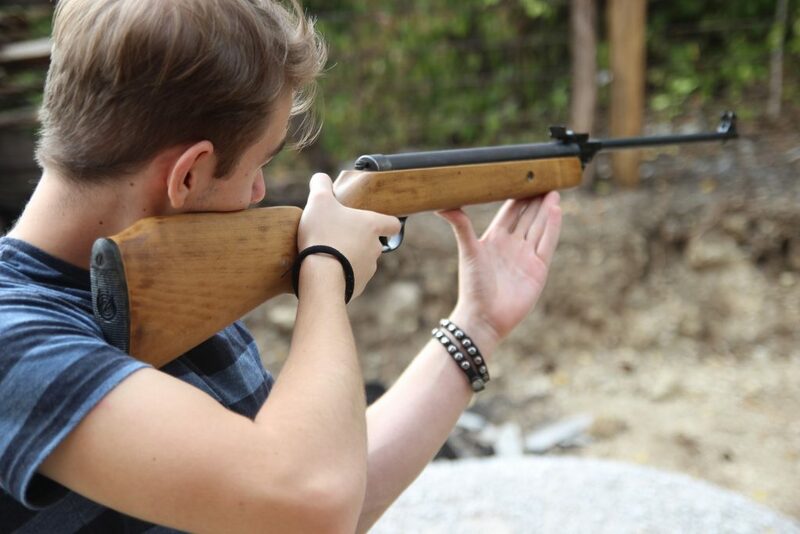 It is a rubber pad placed on the end of the gun’s stock. These rubber pads are inexpensive and easy to add to your rifle. A great choice is the LimbSaver Airtech Slip-On [link to Amazon]. The second type is a little less common. Usually the shooter wears the pad under their shirt. Some shooters prefer this style to the one above because they only need to purchase one pad instead of one for each rifle they own. A popular choice is the Caldwell Super Mag Plus [link to Amazon]. Using a lightweight gun will significantly increase the amount of recoil felt by the shooter. There is no getting around this because it is again based on physics. A popular lightweight rifle used by backcountry hunters is the Kimber Mountain Ascent [link]. The Kimber weighs 4 lbs. 13 oz. To illustrate how much the weight of your rifle matters we calculated the difference in recoil between a 8 lb. rifle and the lightweight Kimber in 7mm-08. The 8 lb. rifle has a recoil of energy of 14 ft-lb but the 4 lb. 13 oz. Kimber jumps to 23.3 ft-lb! That is more than an 8lb. .30-06! What this example illustrates is that if you are very concerned with recoil you should use as heavy rifle as you can comfortably carry. This depends on how you hunt but if you are not doing much hiking you can get away with a rifle on the heavier side. Another option you can consider is switching to a semi-auto rifle. The reduction in recoil is a little harder to calculate but switching to a semi-auto works similar to a recoil pad. While you can’t cheat Newton’s law, the semi-auto helps spread the recoil over a longer amount of time so the gun will feel like it kicks less. According to Chuck Hawks [link], “Recoil is caused by two factors. The first is the bullet itself, which cannot be interfered with. The second is the expanding powder gasses that are pushing the bullet and must also exit the barrel. 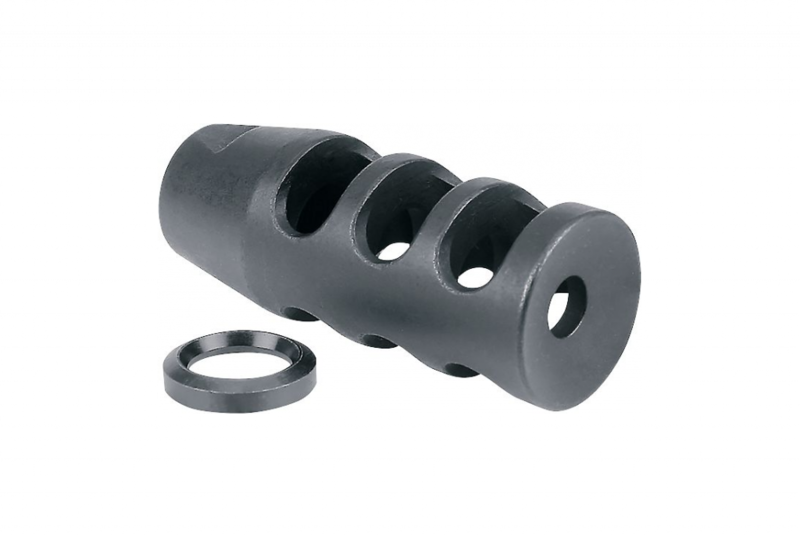 Muzzle brakes reduce recoil by diverting part of these gasses to the side so that they do not add to the rearward recoil.” Adding a muzzle break to a gun reduces the recoil by as much as 40-50%. The downside to muzzle brakes is that they are loud, so loud they can cause temporary deafness and permanent hearing damage. For this reason, many states do not allow hunters to use guns with muzzle brakes. If you want to add a muzzle brake to your hunting rifle and your state allows it, you will need the help of a gunsmith. The gunsmith will either machine a brake directly into your existing barrel or they will thread the end of your barrel so you can install an aftermarket brake like this one from Midwest Industries [link to Cabelas].